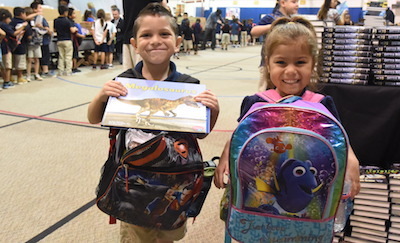 On September 25, Nevitt Elementary students received some extra special blessings sent home in their backpacks, thanks to Blessings in a Backpack and Kids Need to Read. Free food and books were sent home with each student, much thanks to the generous donations from Waste Management Phoenix Open, Thunderbird Charities, PGA Tour Wives, and Kids Need to Read. This event also coincided with National Blessings in a Backpack Week, which took place September 24-28. “All of the books we are giving to students are brand-new and mostly donated by authors and publishers. 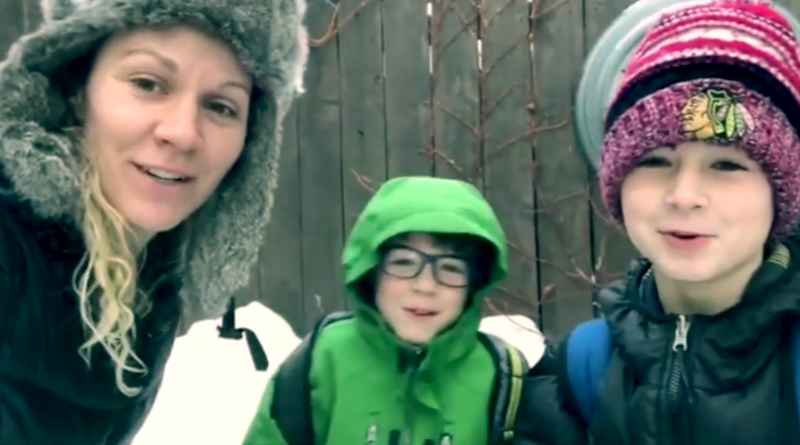 We want to give kids choices so that they have more ownership. That ownership allows kids to be more excited about what they’re reading, and that’s the goal,” said Kids Need to Read Representative Tiernnee Jefferis. 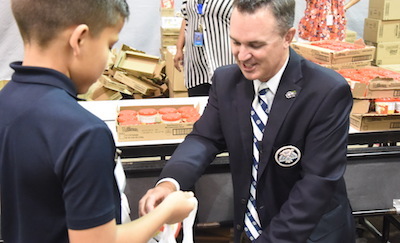 “Supporting Kids Need to Read is a very worthy cause, and we are happy to be here and support that,” said Thunderbirds Tournament Chairman Chance Cozby. 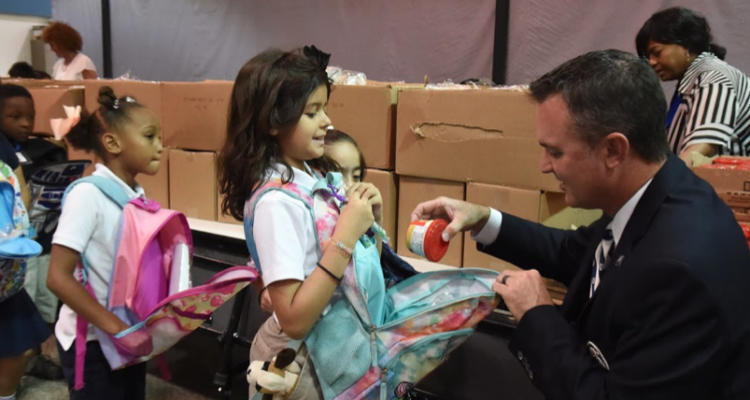 Blessings in a Backpack is a non-profit organization currently feeding more than 87,000 children, at more than 1,000 schools in 45 U.S. states and the District of Columbia. Their mission is to mobilize communities, individuals, and resources to provide food on the weekends for elementary school children across America who might otherwise go hungry. Currently, Nevitt Elementary students in need can receive food every Friday before going home for the weekend. “Every Friday, my class helps hand out food to students. This teaches our kids to learn to give back to the community. It also helps build self-esteem and teaches them to be respectful. We have seen how having our students involved in helping our Nevitt community enables them to grow,” said Nevitt SPARK Teacher Sue Rieker. Approximately 97 percent of Nevitt Elementary students rely on the free- and reduced-priced lunch program, so the need is high. However, that doesn’t stop the students from being inspired to pass on the kindness to others. “I want to give this food away, and find people who need it more than me,” said Fifth-Grader Drew Wilson. Nevitt Principal Vernice Sharpe expressed her gratitude to the contributors, saying many of the students still remember and cherish the books they have received in years past at the Blessings in a Backpack event. This is the ninth year in a row of this event. 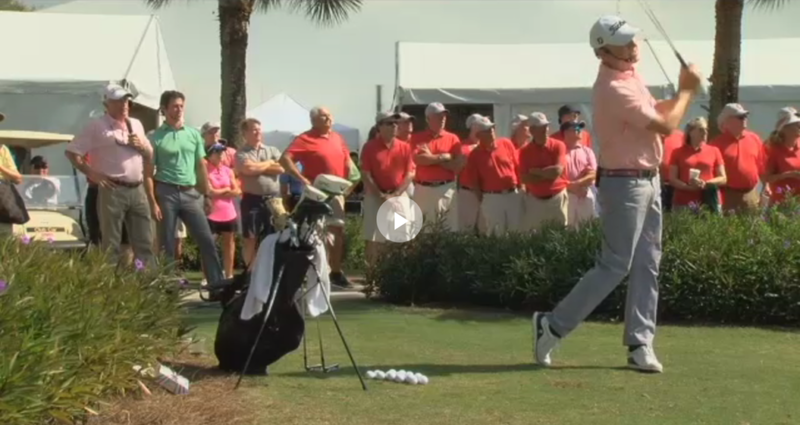 “This is phenomenal. I love that our kids get to take home food and books. We’re always encouraging them to be reading, and this event is truly a blessing to our community. We are so grateful,” Sharpe said. 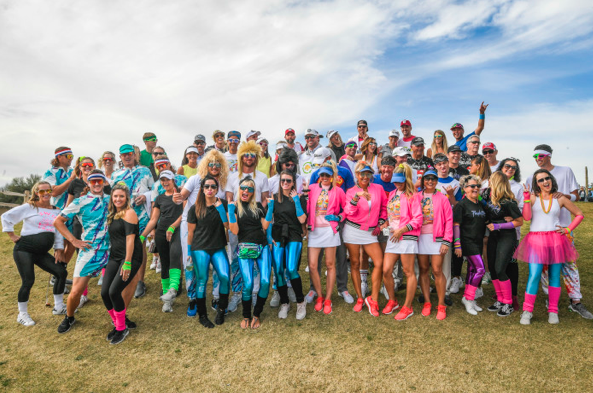 Thank you to the Waste Management Phoenix Open, Thunderbird Charities, PGA Tour Wives, and Kids Need to Read for caring and supporting our community!